Gym cables can be the the source of great frustration for gym owners and home weight trainers alike. If you break one, your favourite gym machine is pretty much cactus till you get yourself sorted. After years of hearing the plight of owners of machines that can't source cables from their respective distributors, we have made available the components that are required to make replacement cables for your gym. You will be blown away at the prices!! We have carefully sourced only quality cable components. If you have something different, just let us know and we will add them to our range. We have gone directly to cable manufacturers to get the best quality components and passed these savings directly on to you. If you need a replacement gym cable, just let us know the specifications and we can manufacture it using top quality cable components. 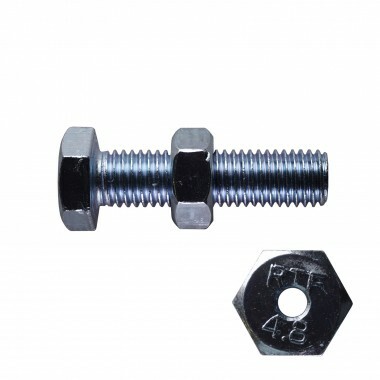 M14 bolt for gym cable replacement. 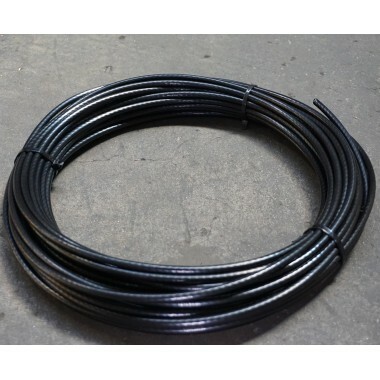 20 meters of your industrial grade gym cable. Thick bell end will secure your cable and prevent it from slipping out. 50 meters or industrial grade gym cable. 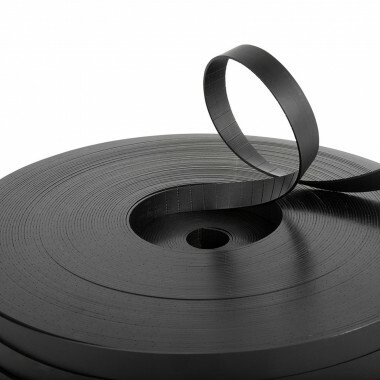 200 meter reel of our industrial grade gym cable. Slightly smaller bell end, designed for smaller holes. For securing gym cables into weight carriages. 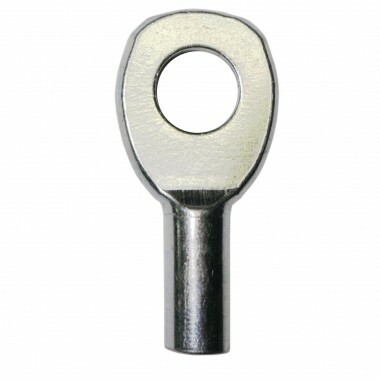 Includes a locking nut to keep the right tension. 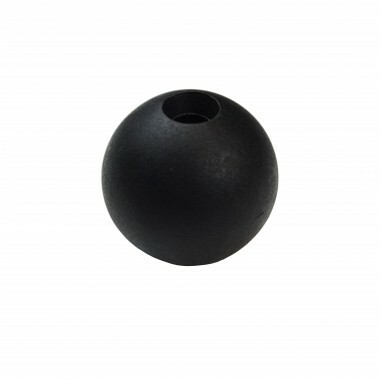 Keep your balls secured with a rubber ball stopper. 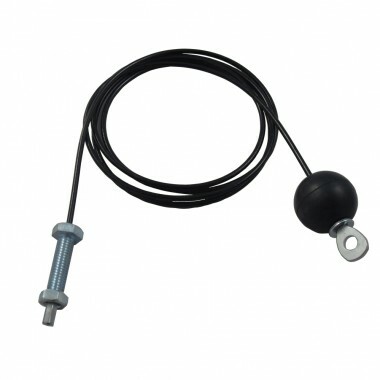 Ideal for securing a cable bolt or other fitting at the end of your gym cable. 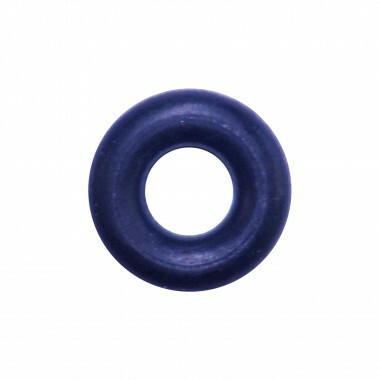 A pack of 10 pcs of gym cable swage eyelts. 20 mm thick steel cord reinforced replacement belt. Sold by metre. 30 mm thick steel cord reinforced replacement belt. Sold by metre. 40 mm thick steel cord reinforced replacement belt. Sold by metre. 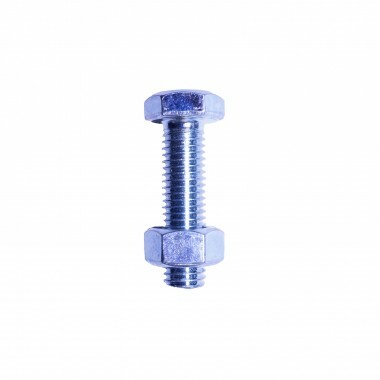 Ideal for securing a cable bolt or other fitting at the end of your gym cable. 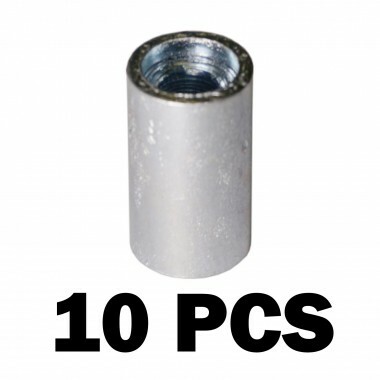 Pack of 10 PCS. 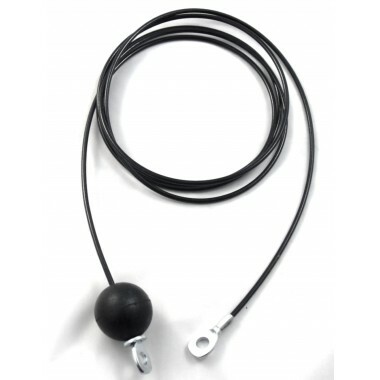 This is the high pulley cable used on the IM2000. 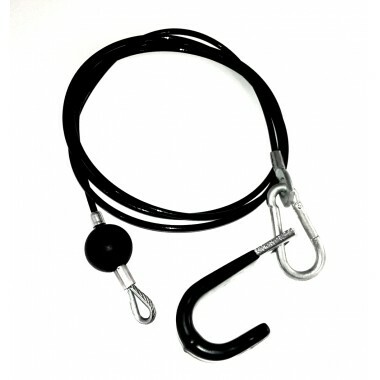 It is the one that attaches on to the lifting bar.. 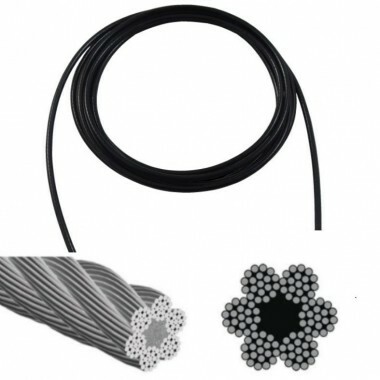 This cable is used in the Powertec Workbench Lat Tower Option (WB-LTO). It is the upper cable. It i.. 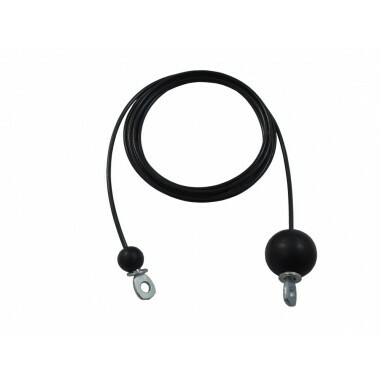 This is a replacement lower cable for the WB-LTO Powertec Workbench Lat Tower Option. This cable has.. This cable is for the Powertec Lat Machine. It is the top cable that bolts into the weight carriage.. This is a lower cable for the Powertec Lat Machine. This is the cable that you use for seated rows, ..